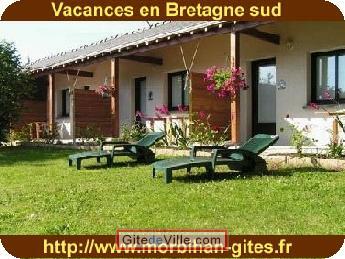 Vacation Rentals - Holiday Rental ads in the city of Séné in France for Tourism. Self Catering Vacation Rental of 20 m² in Séné for 2 peoples. 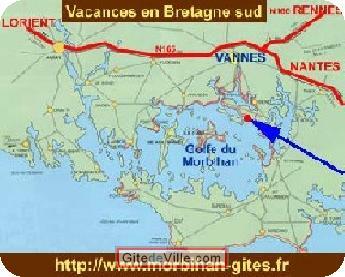 Your cottage, 200m Gulf of Morbihan, regional nature park, classified "Most Beautiful Bays in the World", in Séné Vannes, southern Brittany. 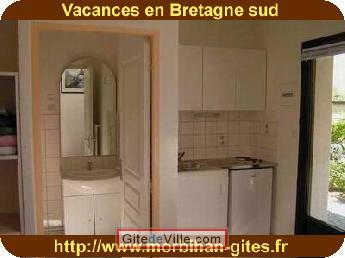 * Rent by night, without booking, only "in passing"
* studio 20m² + terrace 10m², newly built, ground floor. * Quiet area, garden and closed carpark 400m ², barbecue, garden furniture. All shops SENE. From September to June, take advantage of price, mid and low season! Port-Anna peninsula in SÉNÉ, 45 islands, near Vannes (medieval), Carnac (dolmens). Near the islands Belle-Ile, Houat, Hedic, between the peninsulas of Quiberon and Port-Navalo, Port-Crouesty. * small fishing port, 110km hiking on foot, mountain bike trails, beaches, bird sanctuary, water sports, equestrian center, oyster farmers. * All for Hiking, biking, hiking kayaking, swimming, sailing, sea fishing, angling, tennis, horse riding. Last Ads update : 07/23/2018. 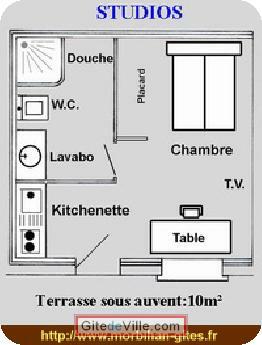 Owner of an urban accomodation or B&B to rent in Séné ?